“Owl House” – the anticafe at Rizhskaya Metro station. Comfort is waiting for you here. But above all meeting with our owls is going to take place! 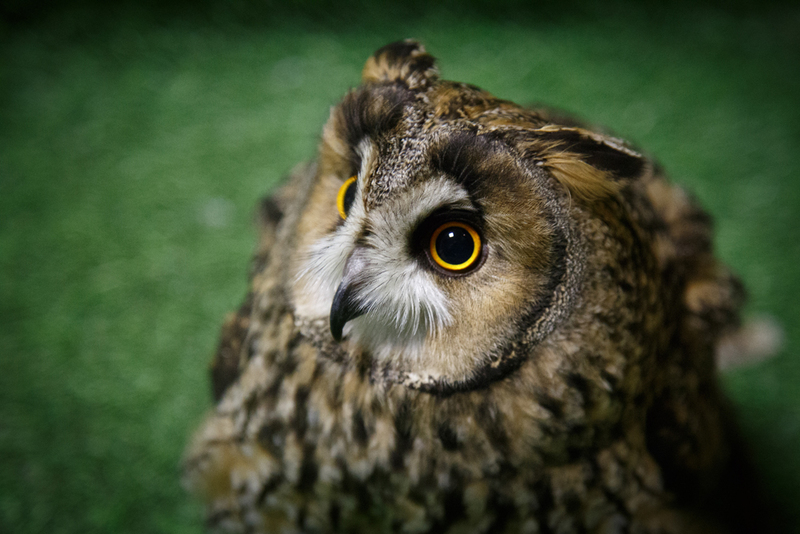 We are the first owl anticafe in Russia. 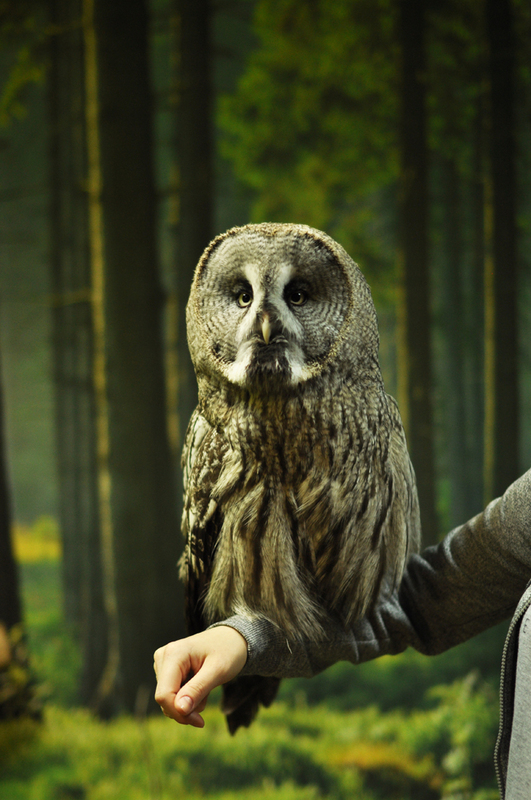 You will have a great opportunity to communicate with our owls and spend time with them. Moreover you will have a chance to feed them! Owl House works in anticafe format. It is a special area, where our guests can communicate, play board games, work or just relax. The specialty of our anticafe consists of its feathery “owners”. 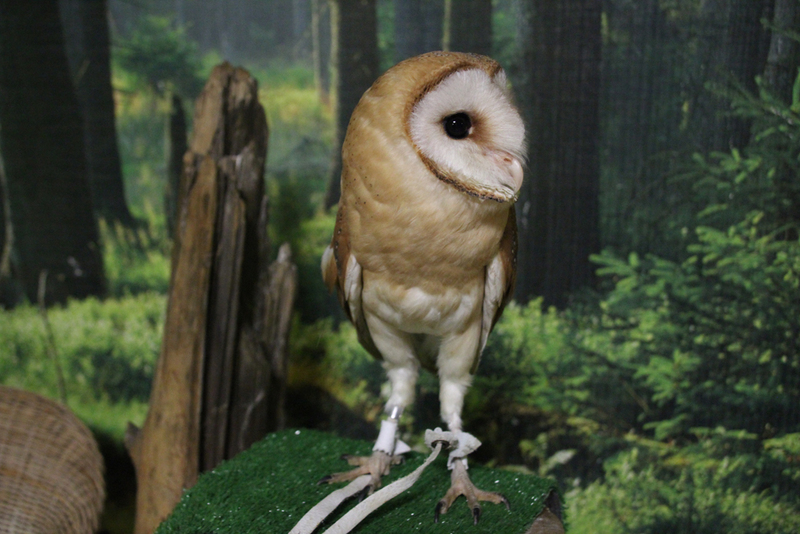 Our owls are specially adapted to communicate with a human. 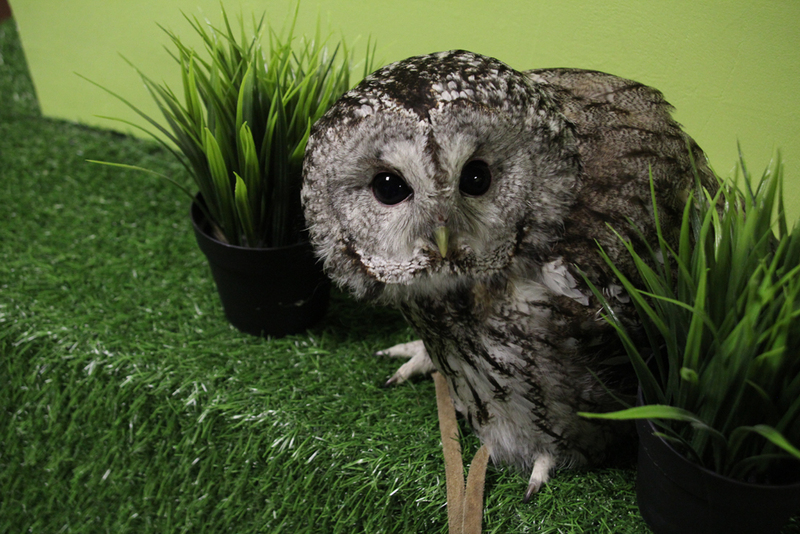 Each owl has its own character, temperament and can appear to be an excellent companion during your stay in our antistress cafe. You do not pay for drinks or biscuits in our anticafe. They are included in the cost of your visitation. The cost is calculated per minute. In addition it is necessary to purchase an owl card. You can learn more information about this in the section PRICES. We have special offers for those, who is going to spend the whole day in our inticafe (Stop cheque) and for those, who want to visit us regularly (Monthly subscription). You can take your own food with you or order it in the Owl House. 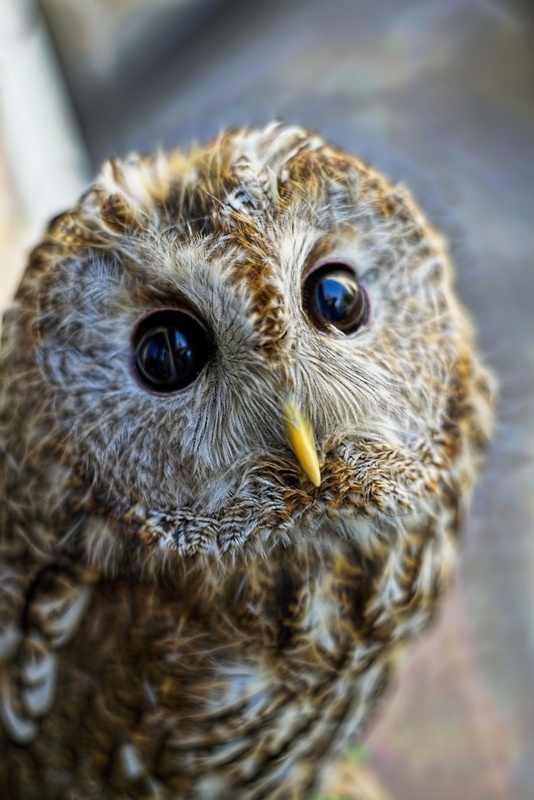 Owls are the symbol of wisdom. 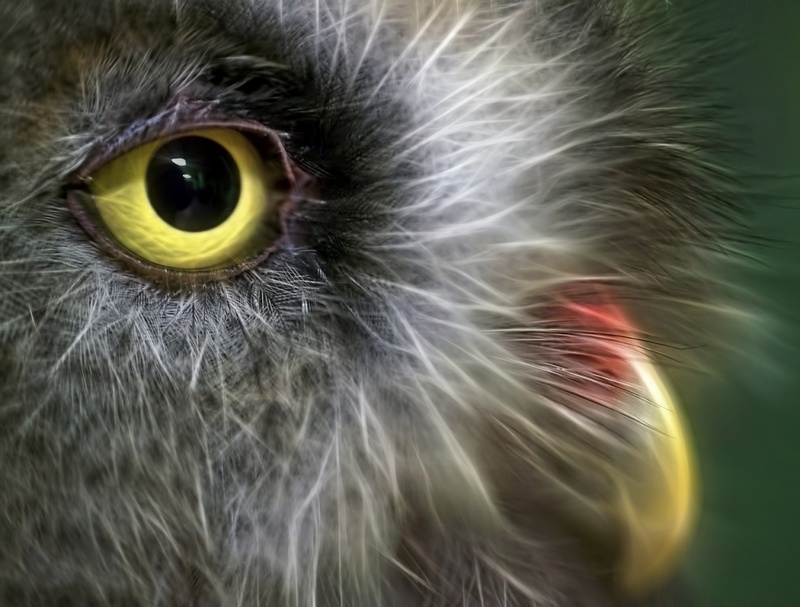 They are predatory birds with an unusual appearance. 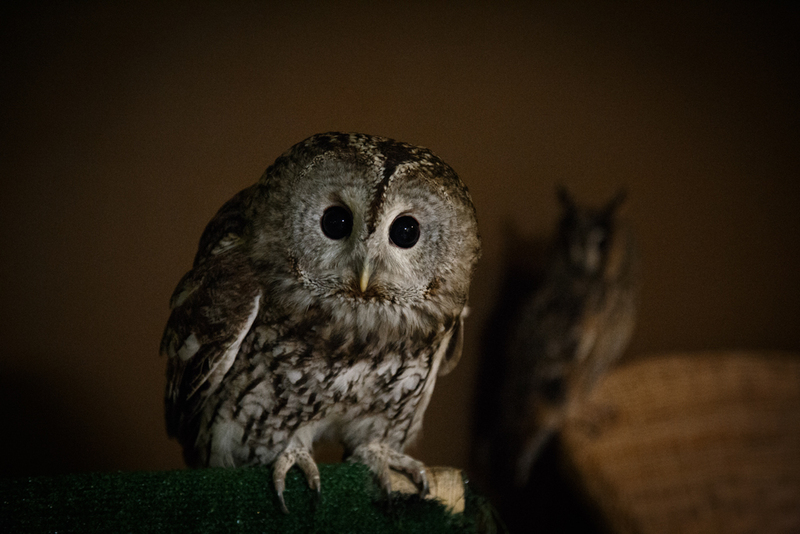 They are glad to meet our guests, but we ask you not to forget that our “Owl House” is not a petting zoo, but the anticafe. 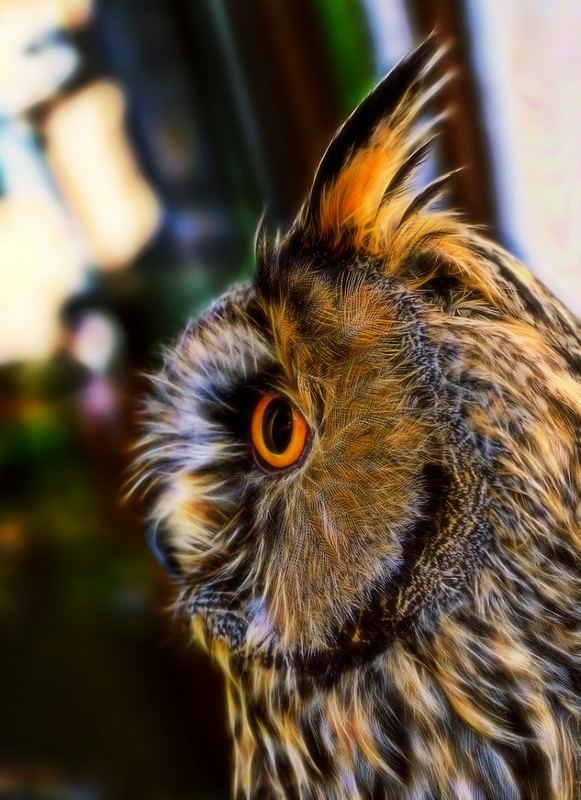 Owls do not love sharp sounds, loud noise and light flashes. It is not allowed to come with your animals. 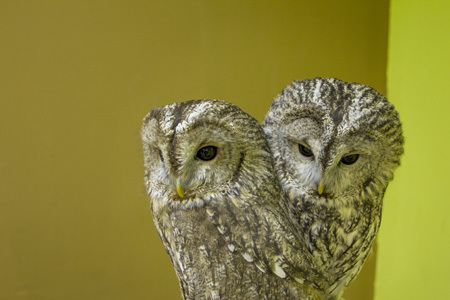 Communication should be pleasant, kind and safe both for our owls and our guests. Thus there are several rules of behavior that is required to comply. You are always welcome! 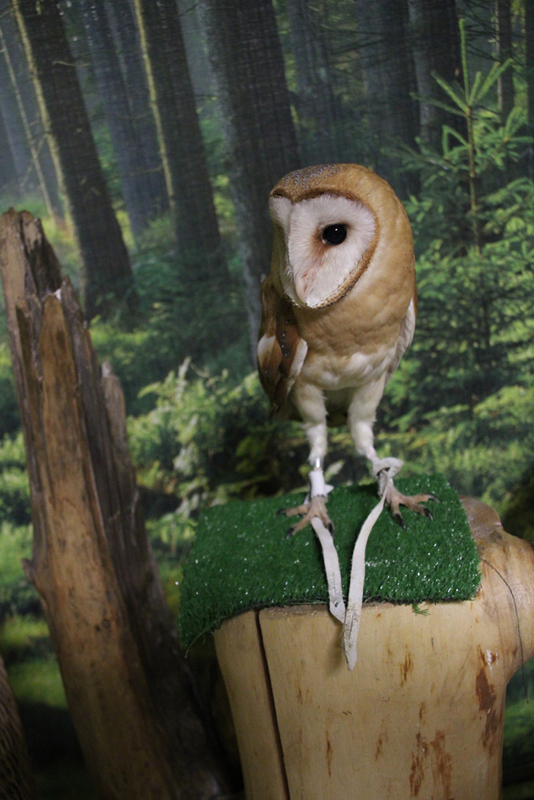 Communication with owls will give an unforgettable experience both for adults and children. This will fill you with love and kindness and cheer you up. Visit us, our location is within walking distance to the Rizhskaya Metro station! Yes! You are not mistaken! 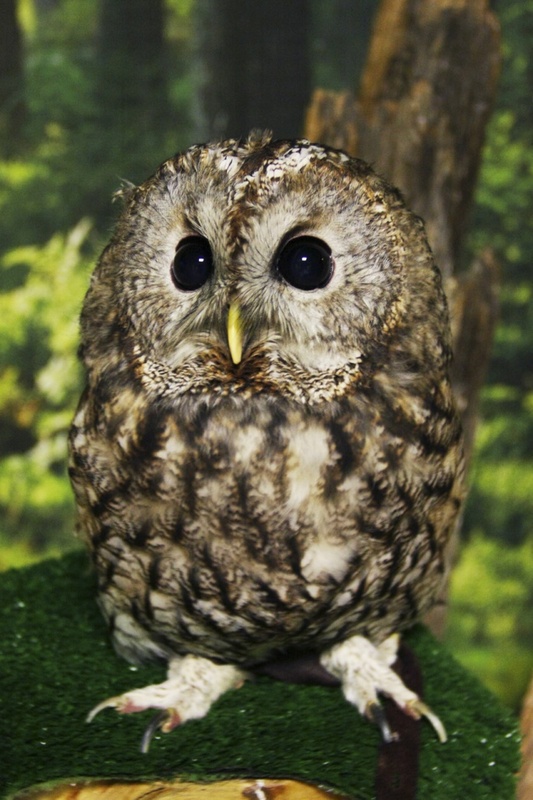 You can have an opportunity to feed owls from a hand and believe us it is really exciting! An owl can fly up to your hand and start eating from it. Even children can feed our owls. This is an unforgettable opportunity! This service is free; it is included in the cost of attending. All that is required is your staying here for more than an hour. 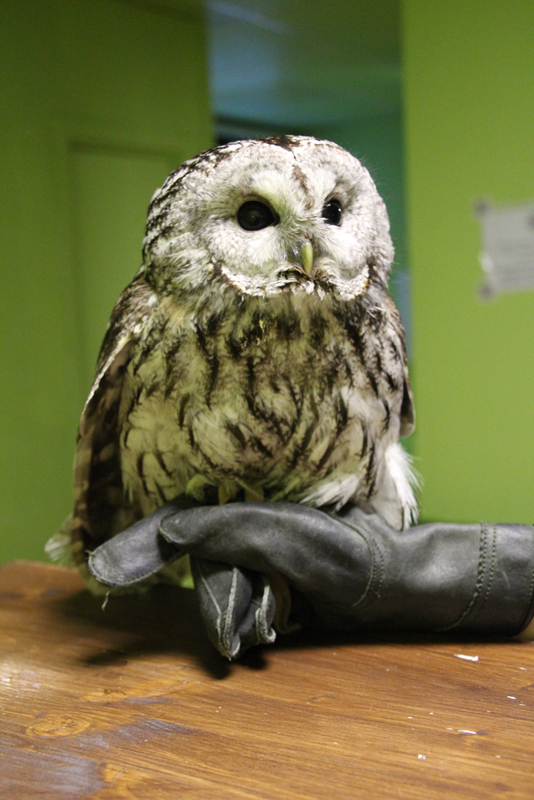 After staying for an hour you should take a coupon at the reception, put on gloves and be ready to feed the owls! 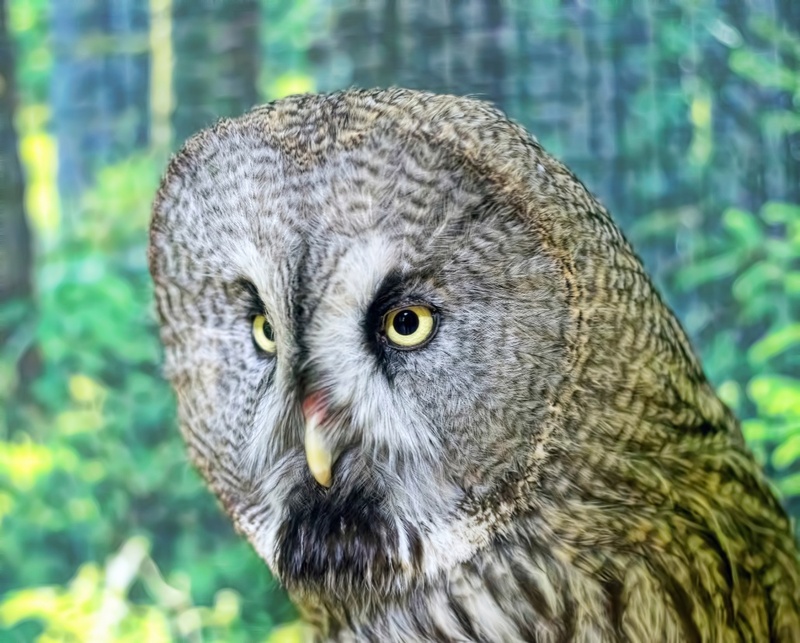 What can be better than staying with owls and your close and native people in private? You can celebrate your Birthday, corporate party and any other event. You can rent the Owl House (the cost of the first hour is 10,000 RUB, every next hour costs 5000 RUB). Advantageous offer for those, who are visiting us for the first time! Make a gift for yourself or a close person! 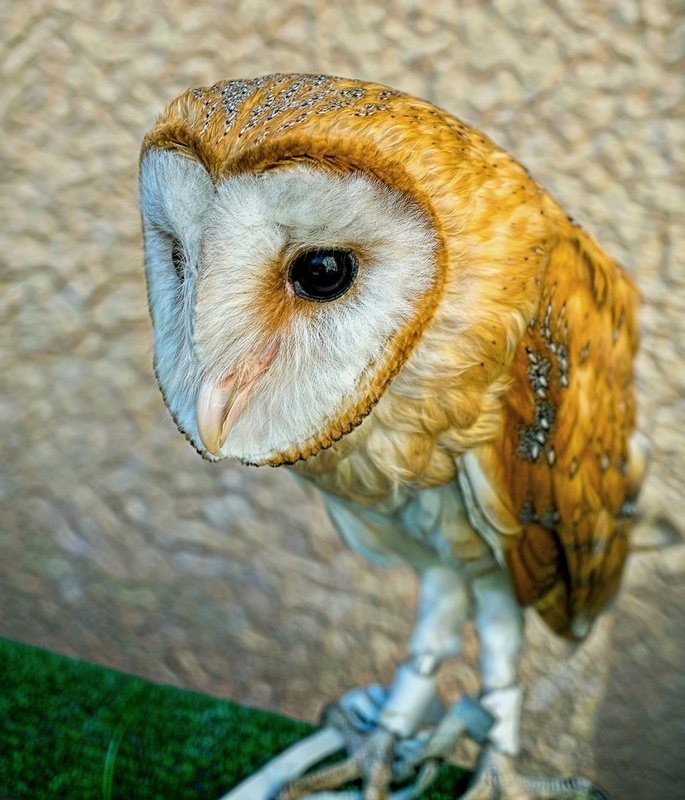 It is an amazing gift to have an opportunity to see owls so close and get acquainted with them especially with a good discount! On weekdays from 11 a.m. to 17 p.m.
On weekdays from 17 p.m. to 23 p.m.
You can show your certificate in a printed form or electronic one. One person can purchase an unlimited number of certificates for himself or as a gift. One certificate is valid for one person. Club card that allows you to visit our anticafe in the further. Dear Friends! 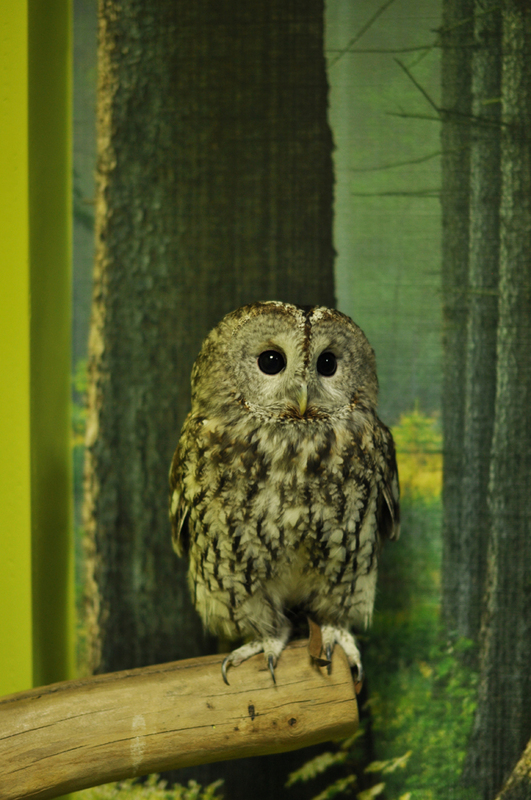 Our basic principle is to create the most comfortable conditions for our owls and guests! 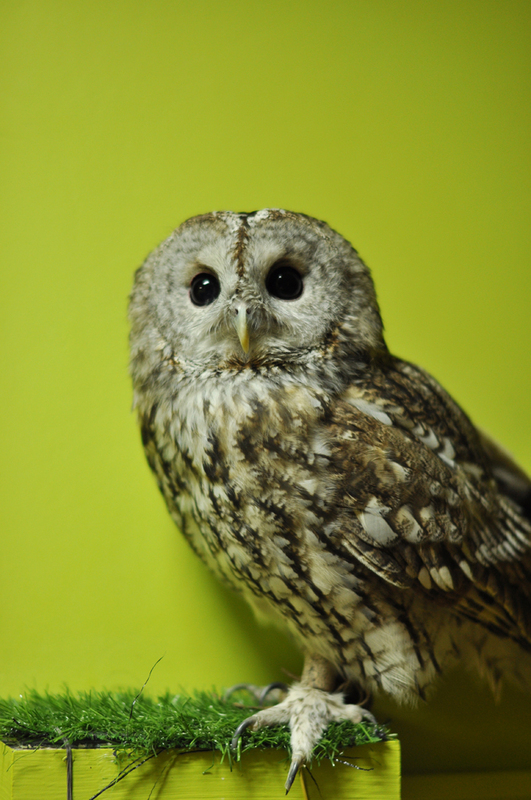 All our owls were bred in captivity. Thus the adaptation for communication with the people was carried out with them. 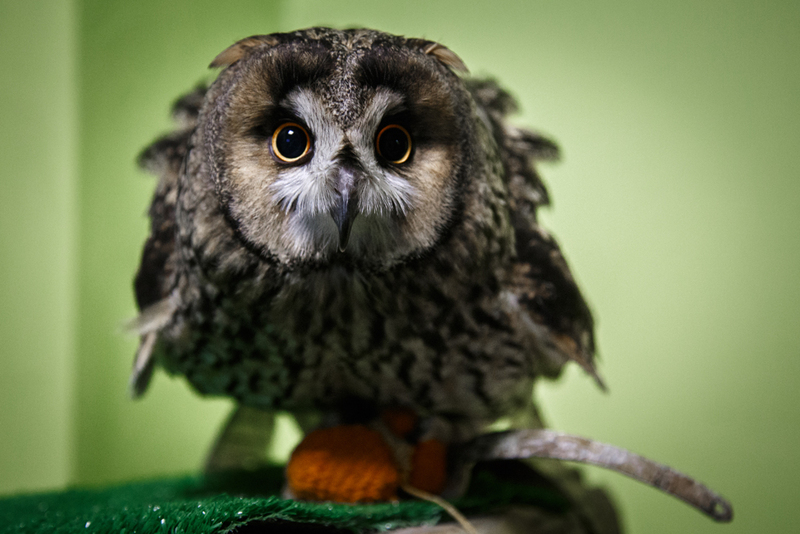 We work under the patronage of the state veterinary service and all our Owls pass medical examinations and get necessary vaccination in proper time. Consequently, they are healthy and not dangerous to humans. Jackets must be deposited in the courtroom; all mobile phones must be switched to silent mode or switched off. Do not leave children unattended; hold a child’s hand. Children younger than 14 years old must be accompanied by an adult. The child’s relationship with the owls needs adult supervision. 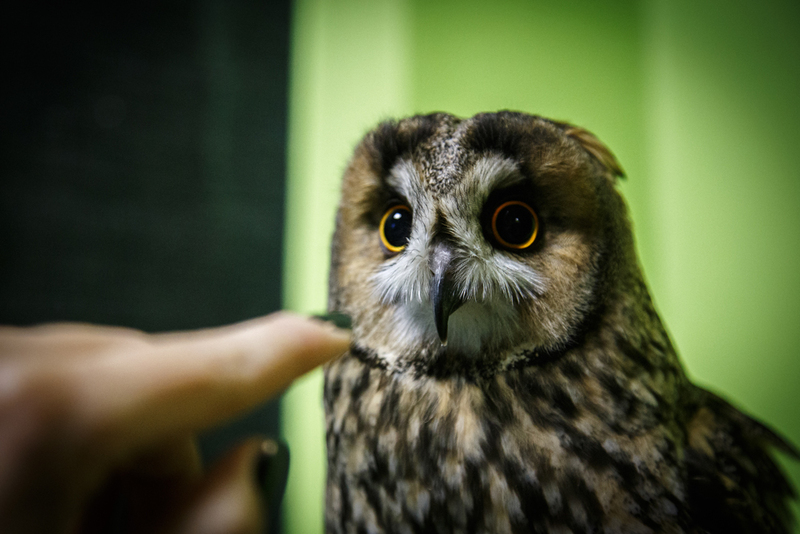 It is possible to stroke owls and hold them only under the supervision of an instructor of the Owl House. 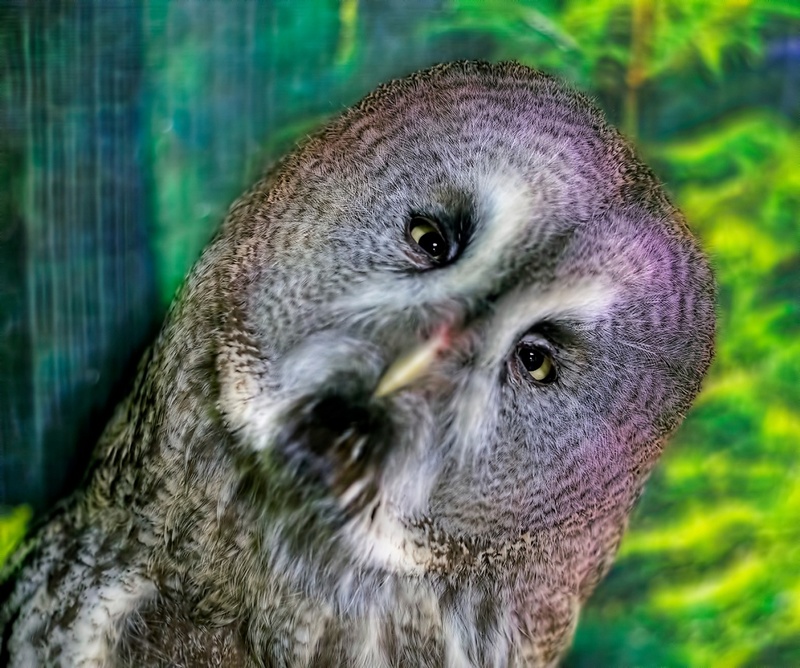 It is allowed to stroke owls only by back of the hand. 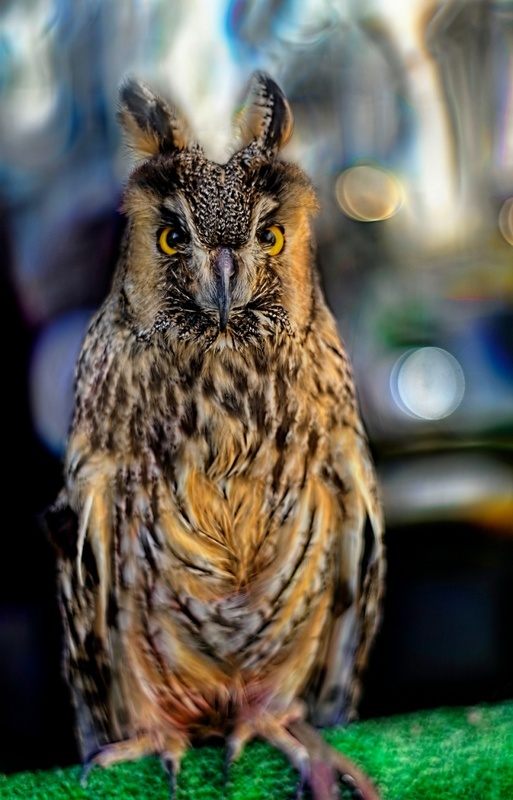 Do not frighten owls by making shouts or sharp sounds; touch animals gently. The administration of the Owl House doesn’t bear any responsibility for individual allergic manifestations. 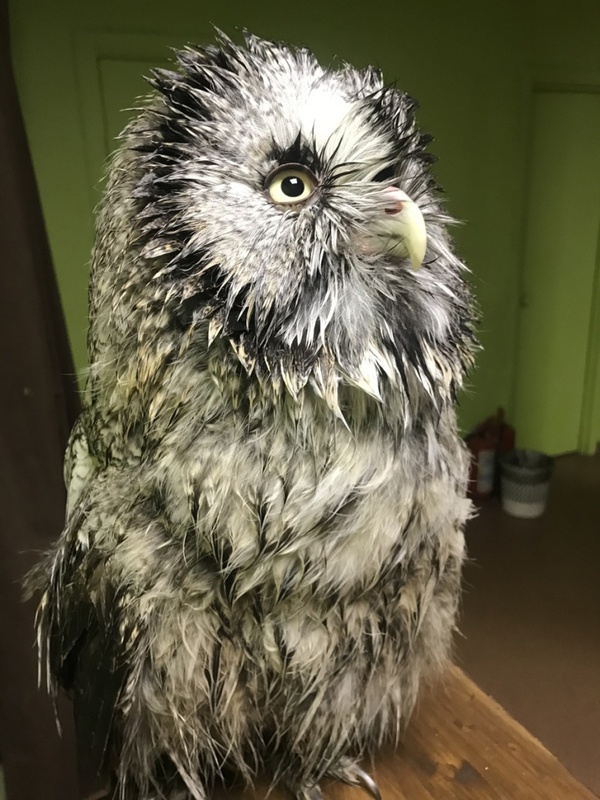 Visitors who have caused damage to the owl are obliged to pay the departure of the veterinarian and the cost of treatment of the owl in full amount. The administration has the right to refuse to provide services without any explanation. DO NOT FORGET THAT YOU COME TO VISIT THE OWLS, NOT THEY! These rules are a public offer. We are open every day without holidays from 11a.m. to 23p.m. Now you see the underground passage, you go down into it and move forward right to the end. WELCOME TO OUR VK COMMUNITY!